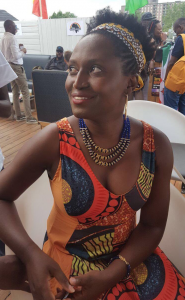 Solange A. Musanganya is programs director in Maison de la Culture des Diversités Humaines; a non-profit organization that uses culture, art and sports to address the homophobia and transphobia in West Africa. As a TEACH technical advisor, Solange is working with MSMGF and IRGT to deliver high-quality trainings to trans-led organizations in her region. Solange: I was born in Rwanda and grew up there. I left the country during the genocide in 1994 and went to Canada where I started my activism, first as a gay man, now as a trans woman. During my activism as a gay man, I started the organization Arc-en-ciel d’Afrique (African Rainbow) to address the issues of LGBT people from Africa and Caribbean living in Canada. Refugee asylum seekers, issues around HIV in the MSM Black population in Canada, integration and adaptation were part of topics we were working on. During the same period I started Massimadi, an LGBT film festival for afro-Caribbean people during Black history month activity that aimed to address the issue of homophobia in black communities in Canada. It was only in 2012 that I fully accepted myself as a trans woman and started my transition. Three years after, I left Canada to settle in Ivory Coast, Abidjan. This was my return back to the African continent to be among people who never witnessed my past as a man. I have worked since at Maison de la Culture des Diversités Humaines to do global work on trans issues. Solange: I love teaching. I love doing conferences. I love presenting. I am a passionate person that likes to transfer my passion to other people, especially about my values and what I believe in. As a trans woman, I had to work hard on myself, my self-esteem, and to be comfortable with who I am. So many people helped me to reach that level of comfort. So many organizations, stories of others, discussion, and listening helped me being fully me. I believe now it is my time to give it back to people questioning about their identity, to start organizations in my region, to strengthen their knowledge, and to help my fellows trans people be comfortable with whom they are. The trans movement is a part of LGBT movement although we are often seen as a minority within a minority. I believe my work can help in strengthening the T in LGBT. Solange: Leadership is the biggest challenge facing trans-led organizations in my region. First of all, so many trans organizations are weaker compared to LGBT organizations in my region. 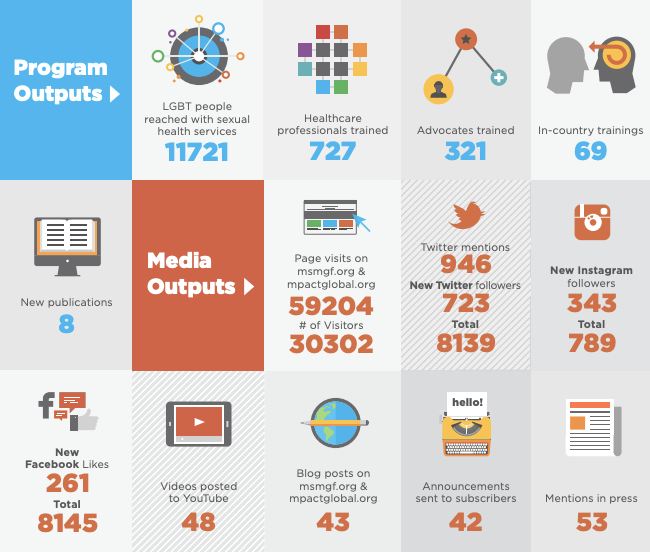 Trans-led organizationsdo not have the same opportunities for funding that larger LGBT organizations do. MSMGF: What are you hoping to achieve at the upcoming TEACH Regional Lab – Africa?